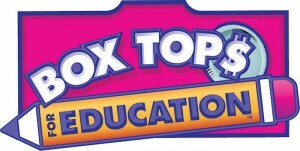 “JLMS is a proud collector of Boxtops and Labels for Education” Our school gets 10 cents for every Boxtop and we accumulate points for Campbells Labels for Education. This helps JLMS purchase equipment and books for our classrooms. Students can turn them into their team for the semester 1 & 2 contests. The team that collects the most gets a prize. Click on the pictures below to see participating products so that you can start collecting.